It's a rare thing for me to find an artist or designer who manages to make me want EVERY SINGLE THING they create, without exception. A drumroll, therefore, for Lou Taylor, a Brighton-based illustrator whose work appeals to me so much, I fear my bank manager might be extremely cross tomorrow. Lou is a papercutter first and foremost, and luckily for us she makes prints of those papercuts, including this gorgeous swimmers print, £35. 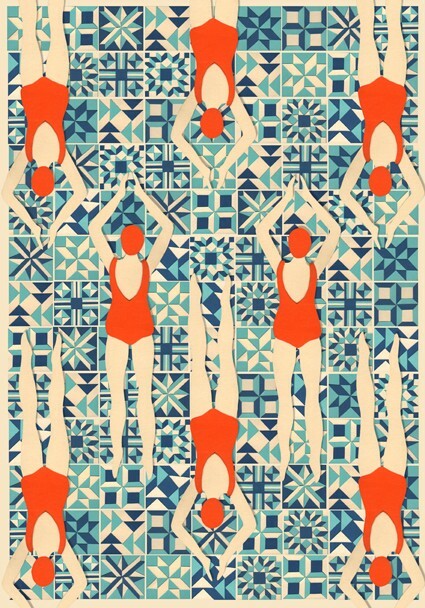 Inspired by Art Deco motifs and quilting designs, I love how the simple swimming ladies are offset by those intricately-patterned tiles below. I have a real thing about flasks. It's medically impossible for me to pass by a vintage Thermos without inspecting it for at least ten minutes, cooing all the while about the magic of something that looks so cute AND can keep stuff hot OR cold. 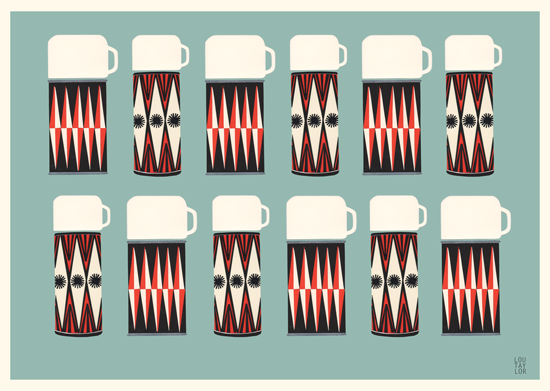 So this flask print is right up my strada. It's part of Lou's Sky Safari collection, inspired by "a chilly night's stargazing". Oh, yes please. Now let's have a look at some chilly stargazing jewellery. This is perfect, and it's available in five colours. 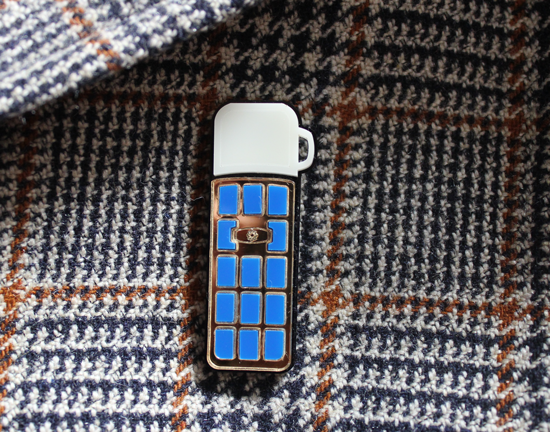 Wear your flask on your lapel and your heart on your sleeve for £30. Matches and fire are a big part of this collection. As someone who accidentally set fire to the Brownie hall while being tested for their Fire Safety Badge, I have a life-long fascination with flames. 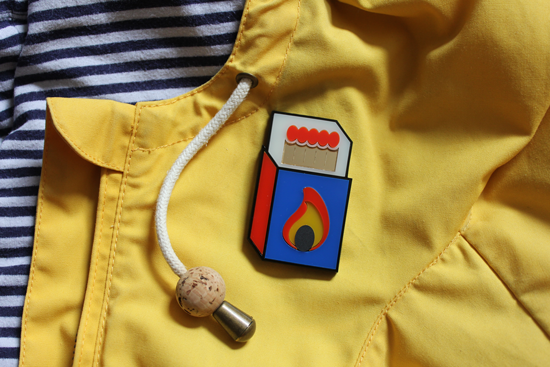 This matchbox brooch is probably the safest way for me to express my pyromania. Unless I set fire to it by accident, in which case, I'll be choked by the stench of burning acrylic. I'll take a chance. Or perhaps I'll go for a single, flickering match. 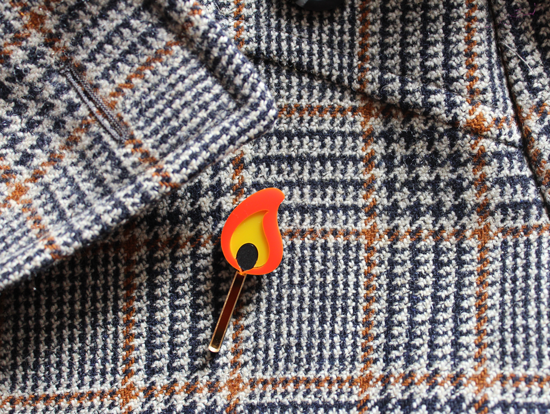 This Strike A Light brooch is £15. 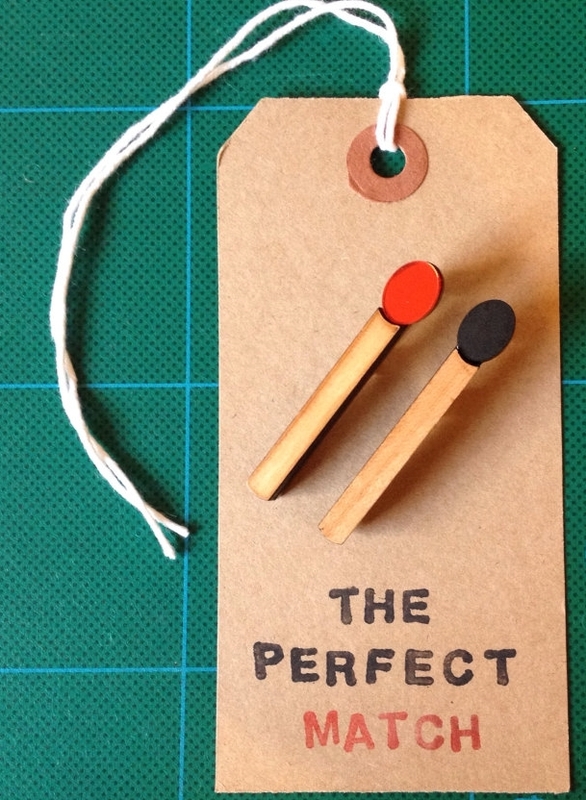 Hopping briefly over to Lou's Etsy store (it's worth checking out both shops, as the stock does vary a little), these Perfect Match brooches are meant to be shared with your loved one - one for him or her, and one for you. If I were you, I'd choose the red one for yourself, because who wants to be burned out ALREADY? Not I. Extreme romantics take note: the backing card can be personalised with your names. Aw. Yours for £17.28. 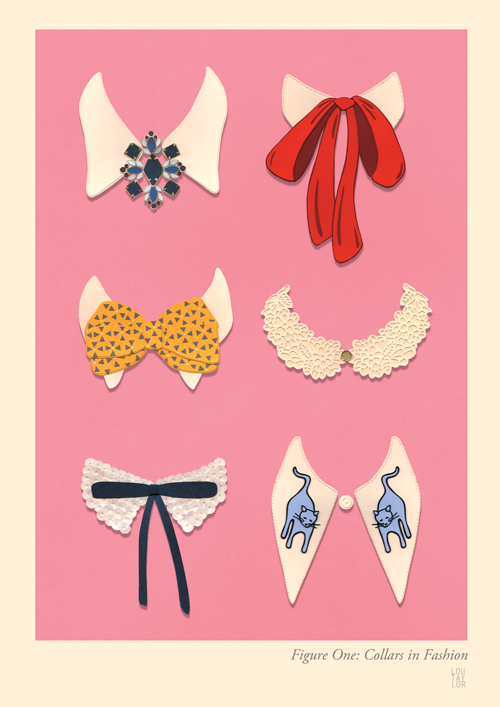 Moving back indoors, this print of Lou's collars papercut is just super. I'd love to see the original - the detail is amazing. Also: cats! 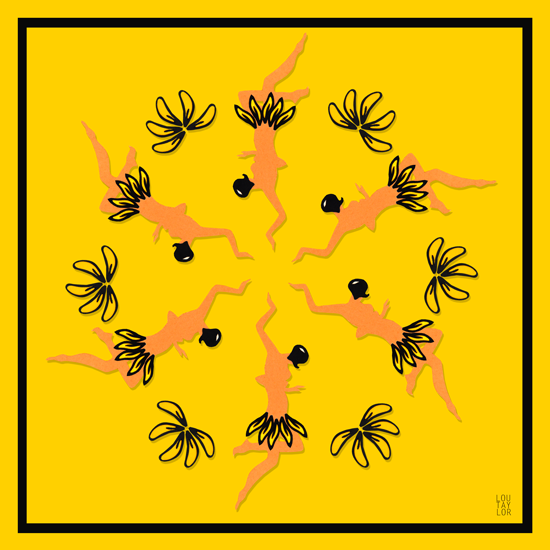 Finally, I had to include this Josephine Baker print, as Mama B and I share an interest in her extraordinary life. I also love Lou's Carmen Miranda print. Both are £35. I might just have to buy both everything. The Perfect Match brooches would make a lovely engagement/wedding/moving-in-together gift.